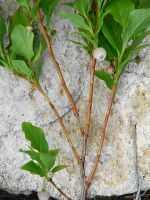 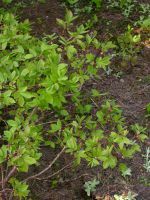 Deciduous spreading shrub 0.5-2 m. tall, the young twigs slightly angled, yellow-green, glabrous, the old bark grayish and shredding. 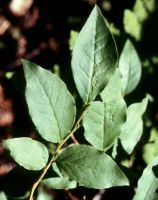 Leaves alternate, thin, ovate to elliptic-obovate, tapered and pointed at the tip and rounded-acute at the base, 2-5 cm. 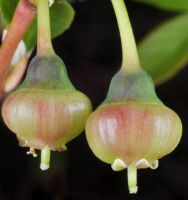 long, finely serrulate nearly full length, sparsely glandular and paler on the lower surfaces. 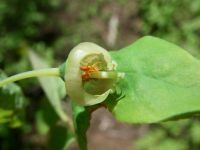 Flowers single in the axils on pedicels 5-10 mm. 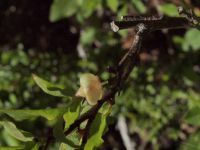 long, pale yellowish-pink, about 6 mm. 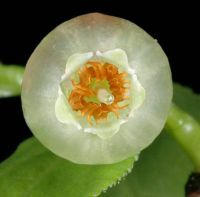 long; calyx obscurely 5-lobed; corolla entire, broadly urn-shaped, longer than broad; anthers with dorsal awns and apical, pore-bearing tubes; ovary inferior. 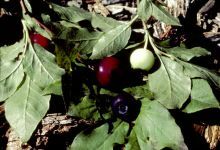 Fruit a berry, blackish-purple or dark purplish-reddish, not glaucous, 7-9 mm. 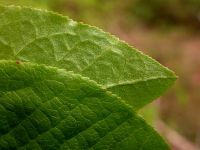 broad, broader than high. 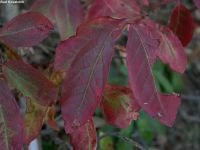 Publication: U.S. Expl. 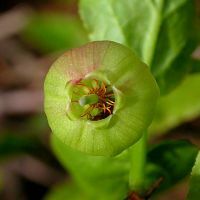 Exped. 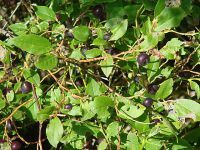 17: 377. 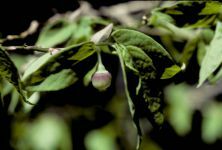 1874. 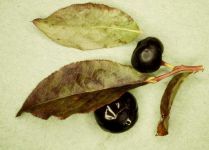 1874. 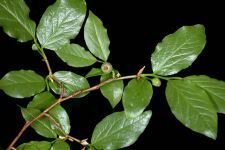 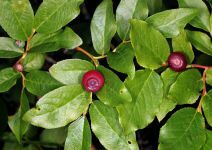 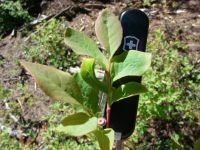 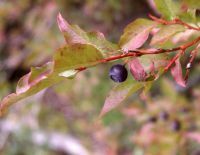 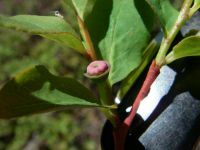 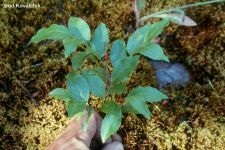 PNW Herbaria: Specimen records of Vaccinium membranaceum in the Consortium of Pacific Northwest Herbaria database. 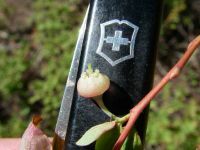 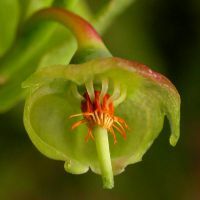 WA Flora Checklist: Vaccinium membranaceum checklist entry. 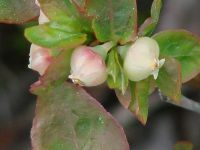 E-Flora BC: Vaccinium membranaceum atlas page. 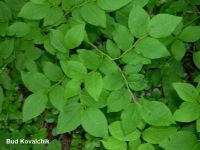 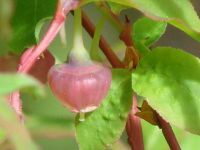 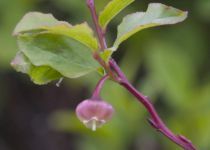 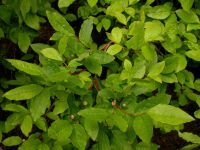 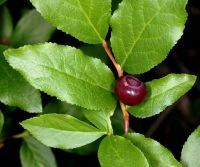 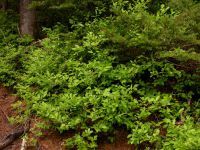 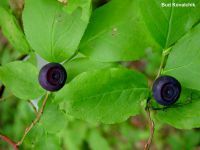 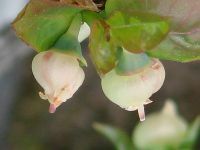 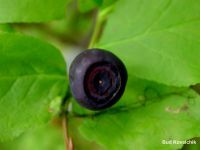 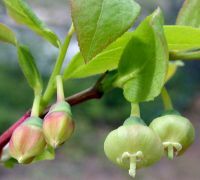 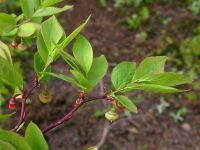 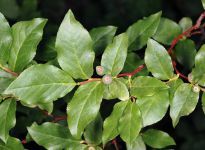 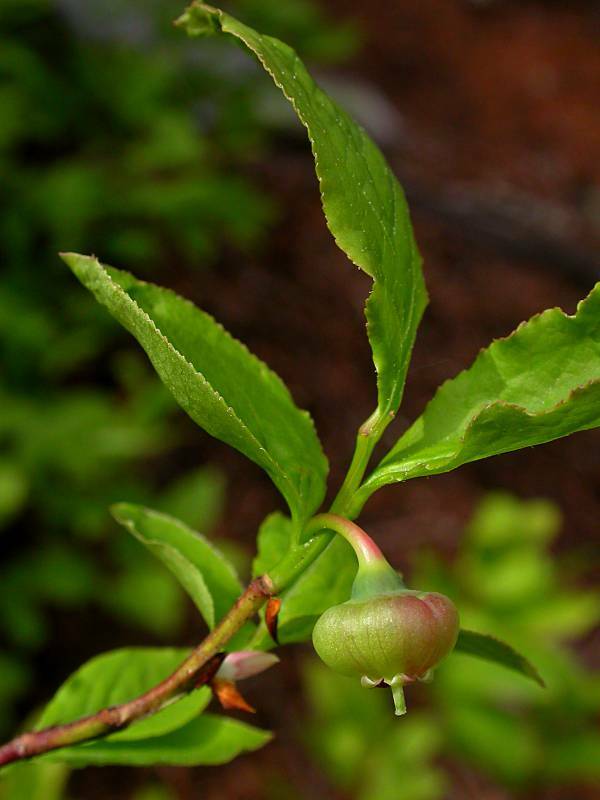 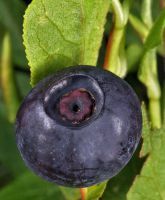 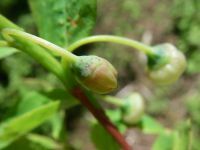 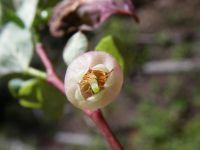 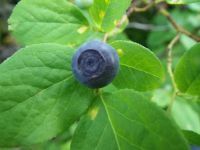 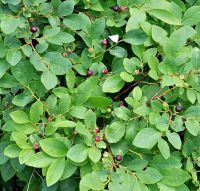 USDA Plants: Vaccinium membranaceum information.